For the liberation of women! * Call for a theoretical seminar in India! 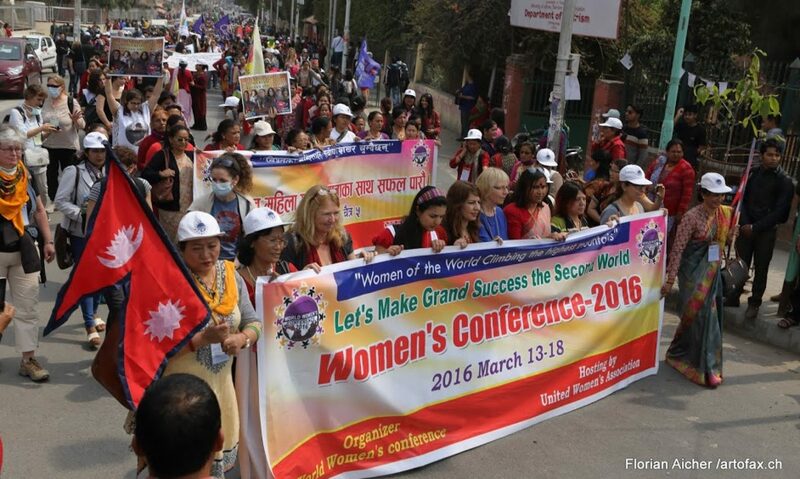 The coordinators of the World Women’s Conferences of Basic Women and the organisation team in India will inform you about the current state of preparations! And for all women who would like to see more of India, the travel agency People to People offers the possibility of a subsequent trip. You are in negotiations with a progressive Indian tour operator. The offer should be a group travel program, after the seminar. The duration: approx. 1 week, with the possibility of extending a few days, e.g. beach holiday. Who has interest in it, should itself before the flight reservation with People to People journeys in connection set over email: reisen@people-to-people.de or by telephone under 0209 1776560. People to People Reisen will also be happy to advise you on your flight bookings and book the flights for you. As soon as the travel program is finished, we will publish it on our homepage. If you are interested, please contact us directly, the friends of People to People will be happy to inform you. The preparations for the content are also in full swing. The seminar is a contribution of the international militant women’s movement to the theoretical discussion about ways and goals of the liberation of women. It is a seminar of grassroots women. It is addressed to all interested women, factory workers, farmers, housewives, nurses, educators etc. You do not need to have studied or speak many languages. Every woman can participate in these discussions and contribute her diverse experiences. The theoretical processing of the diverse practical experience and life experience will help us to get a clear view in these troubled times.